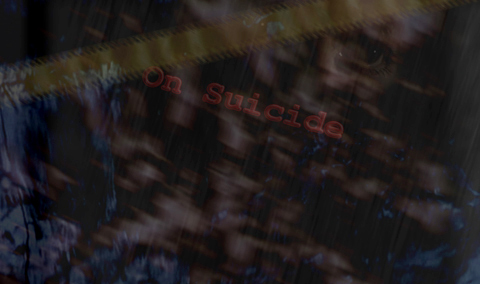 “On Suicide” is a profound documentary study on the phenomenon of SUICIDE. It pursues an in-depth analysis of the reasons for the problem’s expansion on the globe, asking the why’s for its growing frequency in Bulgaria and worldwide. Why do we think it was important to make and show this film? Because suicide has never been treated as a special kind of phenomenon. Not even by the scientific disciplines that deal with it professionally. Psychiatry and psychology hardly touch on it on the very surface: as a natural outcome of certain mental disorders. Sociology prefers staying with numbers, never coming near the human personality. Paradoxically, the deepest problems of the human soul, human soul as a concept, is no subject to any science. Our film faces that dreadful phenomenon with a complete and multi-aspect awareness and raises the full spectrum of hard questions that would eventually lead to a more responsible attitude towards it. The information issue is to be the first step. Even statistical data, to begin with, is hardly known by the public. And most of that data speaks eloquently for itself. Research indicates a stable tendency of increasing growth of suicide rates worldwide. Now over ten million people on the globe attempt to end up their lives annually, around one million of them successfully! It practically means one death every 40 seconds! Our film is meant not so much to solve the problem, but rather to raise a loud alarm that there exists such a menace and that it is an extremely serious one. An alarm that we have never heard so far, anywhere. The suicidal menace is a growing threat that highly overmatches the social level – it is a direct assault against the core of Life itself on a highest existential level. Its causes are rooted very deep down into the spiritual foundations of modern mankind. It is the most vigorous, the most horrifying denial of Life that could possibly exist. Suicide is a life-destroying force much more powerful and efficient than homicide – both quantitatively (the number of suicides exceeds almost by two that of homicides! ), and qualitatively (as it threatens life from deep within, rather than from the outside). “On Suicide” will have completed its mission if it succeeds in raising enough deep, scary, essential questions that very few people dare ask themselves. Questions that would help each person in need reach the core of that problem within themselves and to find their right personal solution. The film is a good pretext to take a general shot on the current spiritual state of mankind.